After a pretty entertaining international break, where there was much entertainment in the form of UEFA Nations League, clubs will look to focus back on what is their mains source of bread and butter- the league. LaLiga serves up entertaining fixtures this week, with Bilbao welcoming Real Madrid at the San Mames stadium. Madrid has made a perfect start to their campaign with full points from their opening three fixtures. Bilbao, on the other hand, will look to add to their win column has managed to win one and lose one with their other game being postponed to a later date. Known as the “El Viejo Clasico" (The Old Classic), the atmosphere at San Mames will be charged up given the political history behind this fixture. Both clubs have a history and were once upon a time dominant forces in Spanish football. However, since the turn of the century, it is Real Madrid who has been consistent, while Bilbao has shown only flashes of brilliance. However, all history will take a back seat as they step out to face each other on Saturday evening. Having sold their keeper for a record amount in the summer, Bilbao still will hope to bring in more faces and bodies in the summer. Although the Basque-based club has a unique policy of recruiting players with Basque heritage and concentrating on the youth system, they may still look to plug some gaps in the winter transfer window. That said, the Basque’s club policy has served them well churning out the likes of Inaki Williams and so forth. Eduardo Berizzo will hope to get something from this game and for that he needs his players to be focussed, having dropped points against the likes of Huesca. Considered as one of the challenging places to visit, Madrid will hope to go all guns blazing into this tie. Their scoring record of late has been good and the absence of Ronaldo has barely been felt. Having scored 10 goals already, Madrid will look to add to that tally as well. There are rumours about Vinicius Junior making his debut over this weekend. 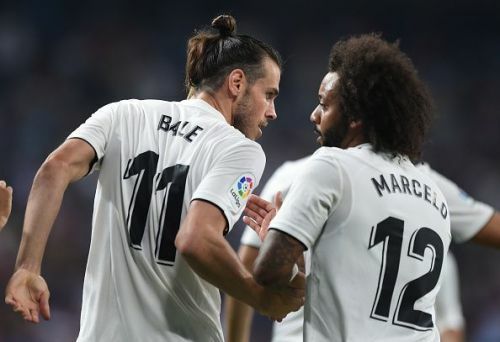 The Brazilian is yet to start a game in the Los Blancos Shirt and will hope that his performances with the reserve team have been convincing enough to get him a start under Lopetegui. Asensio and Benzema are the players to watch out for. Although Bale, hasn’t been too bad either. The trio have stepped up their game this season and with Isco pulling the strings alongside the likes of Kroos and Casemiro that Modric has hardly had a look in. That said, this will be a challenging week with UEFA Champions League fixtures also in the pipeline and one hopes that the likes of Asensio can go on to grace the annals of Madrid history. The Spanish press was abuzz after the performance of the national side in mid-week, where they put on a brilliant display. 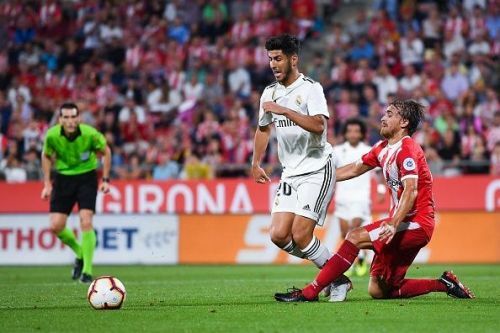 Asensio was at the heart of that performance and despite the colour of the shirt, one hopes to see that magical left foot in action on display. 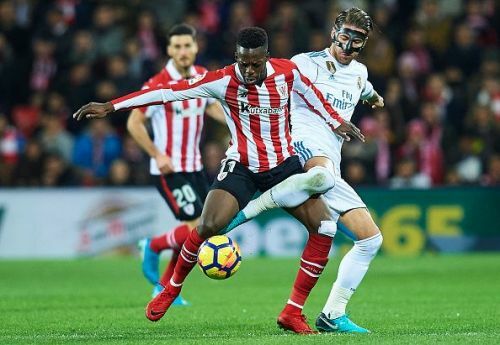 Inaki Williams pace and direct running will be one to watch out for. Inaki plays on the right and with Marcelo going forward to attack; the winger will have space to run onto. The club is looking for its first victory over Madrid since 2015 and will hope that the winger has a vital role in that. Bilbao has been a selling club and it is commendable in the manner in which they have sustained themselves. But if they are to cause a dent in Madrid’s league title hopes, then they will have to play out of their skins. Despite the political background and the home support, one expects Madrid to pick up all points. 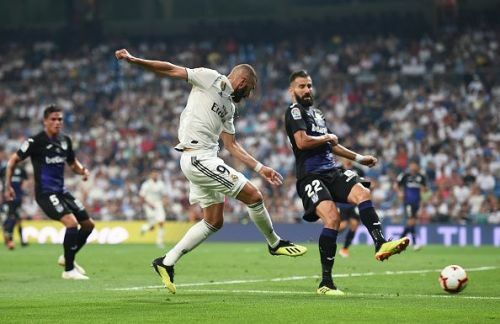 Benzema is back to his best spearheading the attack and one expects him to be on the score-sheet as well.